The nursery fabric arrived and I’m excited to get to it. Unfortunately, I forgot to order the bumper pads so they are on their way now from Amazon. And for some strange reason, I don’t have the pattern pieces for the bumpers or the crib skirt in the pattern envelope. No worry, they are pretty straight forward as far as cutting rectangles to fit the bumper pads and more rectangles to create the skirt. I normally use the Pellon from an old bed skirt as the base of the crib skirt. I’ve got to dig around and see if I’ve got something that will work. I found this Spice It Up kitchen embroidery design pack from Urban Threads and I absolutely loved it! The pack has 4-5 designs and this one stitched up beautifully. I’m very happy with how it turned out. My DIL asked me to make her a new nursing cover for the baby due in October. I chose a gorgeous Joel Dewberry fabric in the colors she said she liked. I’ve never made one of these before but it was pretty easy. This will be my go-to for baby shower gifts from now on. Instead of boning, I chose rigilene. It is so much easier to use and sew through. 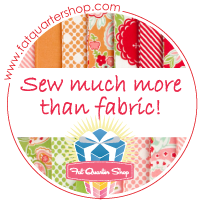 Quilt clips are the perfect tool to hold it to the fabric as it’s sewn vs. pins. I also started a gift for my granddaughter. She was born on Christmas so this will be her birthday present – she will be 3. This is from the Lil’ Red Riding Hood panel from Moda. I saw this made up in my local quilt shop and it was so cute! I’ll need to get a baby bed to complete the gift. This was my first attempt at a stuffie and I had to reference a class I’m enrolled in on Craftsy, Fusible Applique with Wendy Gratz where she demonstrates how to do a ladder stitch to close up a stuffing hole. This is a fabulous class. It contains the patterns for all the animals seen on the quilt behind her too. And you can turn them into pillows too like that adorable bear. And my final make is also from Urban Threads. I thought this Ima Little Teapot stitch out was just too adorable! Please excuse the crosshairs on the shirt. They have almost faded and should be completely gone in a few hours. This too is for my granddaughter. I washed the shirt before stitching to prevent distortion from shrinking in the wash. So that’s it! Hope everyone enjoys what’s left of the weekend!